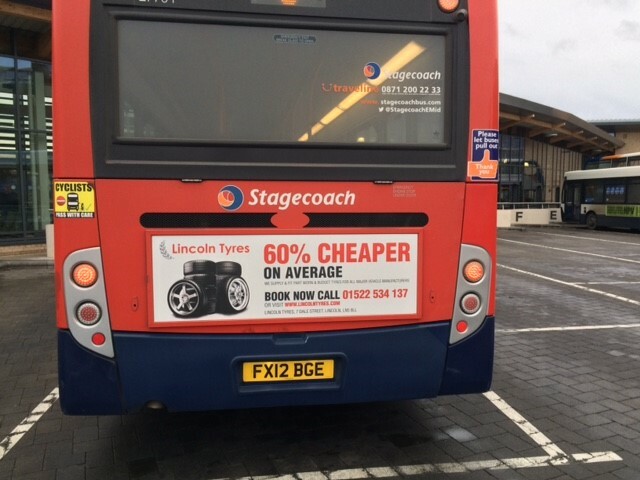 Bus Advertising in Lincoln directly hit their target market….drivers! In November 2018 I received an enquiry from City Scrap, a scrap metal merchant in Lincoln, asking about billboard advertising for a campaign to start in the New Year. The brief was to promote a great offer on used tyres through a second company they owned called Lincoln Tyres. I explained that the number of billboards in the city had reduced as the media owners had let their contracts on different sites run down. This meant that the few boards that were left were in high demand meaning that availability wasn’t great. However, based on the brief they gave me, I felt that billboards were probably not the ideal medium. So, as an alternative, I talked about bus advertising in Lincoln. I felt would give them much better coverage and would also directly hit their target market….drivers! Also the availability of buses is much better in Lincoln than billboards. This meant we could start the campaign when they wanted to. I quoted for a 15 x lower bus rear campaign over 8 weeks starting in January. The 8 weeks was important as we wanted to reach drivers during the two traditionally worst months of the year for weather. At this time of year, it is extremely important to have tyres that are in a good condition. 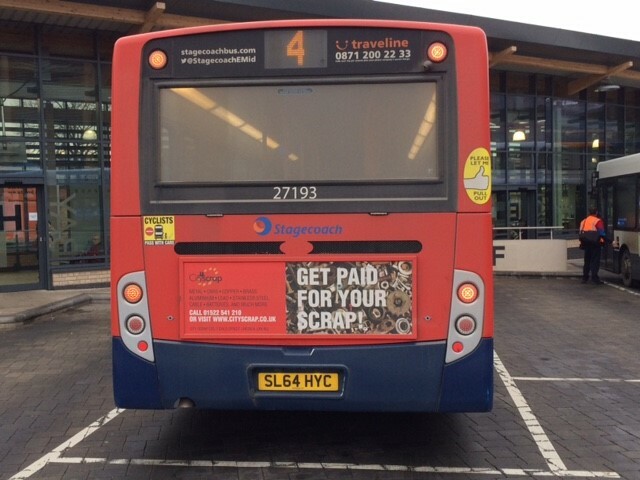 The client loved the idea of bus advertising in Lincoln and booked the campaign along with a mirror one for City Scrap itself. Having booked both campaigns, it was important that we got the creative for both right. To ensure this, the client took my recommendation and asked Simon Smallwood from Footprints Design Agency to do this for them. Simon and I have worked together on several projects so I knew he was very capable of doing this job. It also helped that his office was on the same estate as City Scrap in Lincoln. The campaign went live in early January 2019.